I was at a very interesting estate sale the other day and picked up a few items. I don’t usually frequent estate sales, but this one was amazing. The home owner, who had recently passed, was a science teacher, watch repairman and a wood worker. I am now kicking myself for not picking up more items, but I can’t house the world. 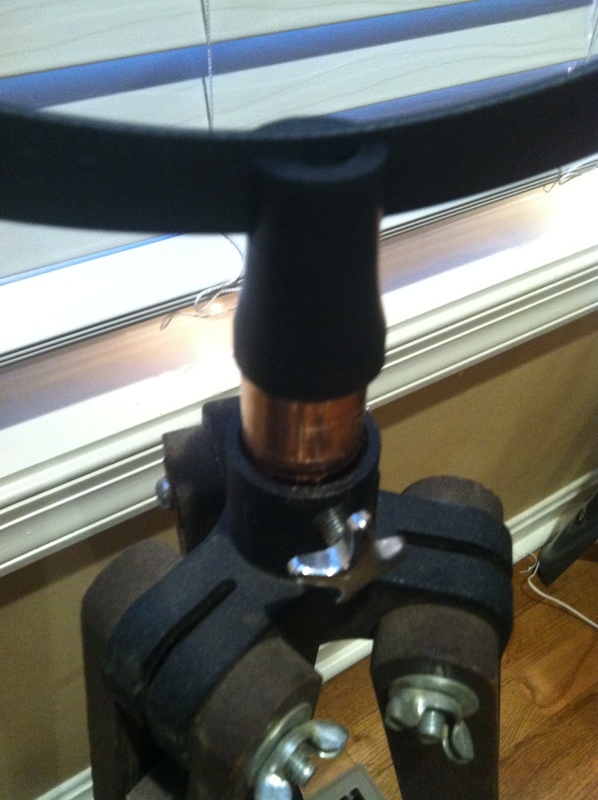 When I see a old brass BAUSCH & LOMB Microscope, I love it, I know it is totally cool, but really, what an I going to fdo with it? Where can I use it? I wish I had more time to sell items on ebay, but I’m really lazy when it comes to selling things. I tend to give them away on freecycle.org. Anyway, where was I? Oh yeah. 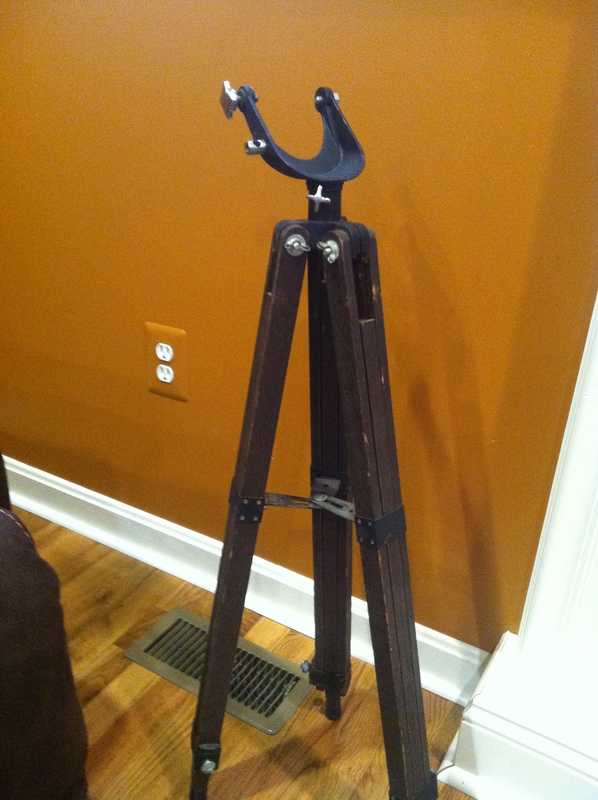 I did pick up an old telescope tripod. I did not know what I was going to do with it, but at under $5. I thought I’d pick it up. I had it setting around in the family room for a bit looking nice and vintage. 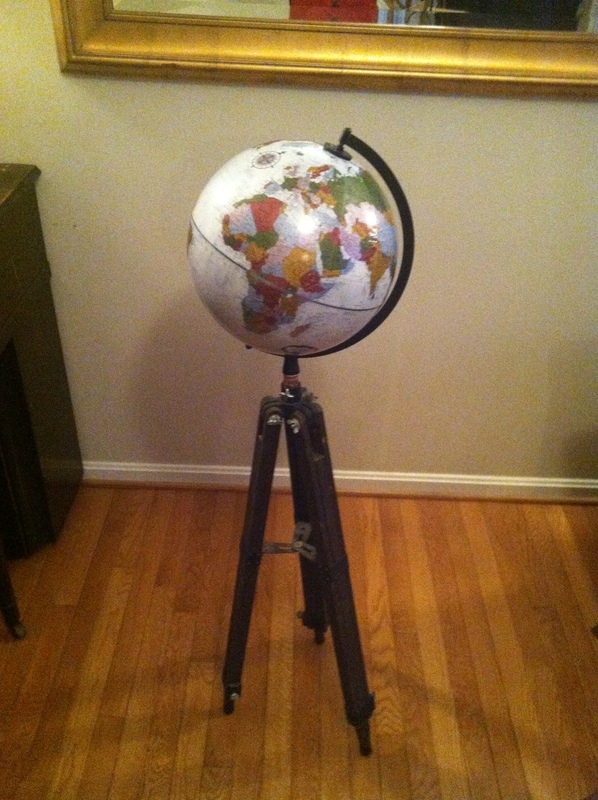 Then I saw some cool tripod based globe ideas like this one from National Geographic. I started to look up some DIY ideas and even came across this cool Black & Gold version from love and renovations. 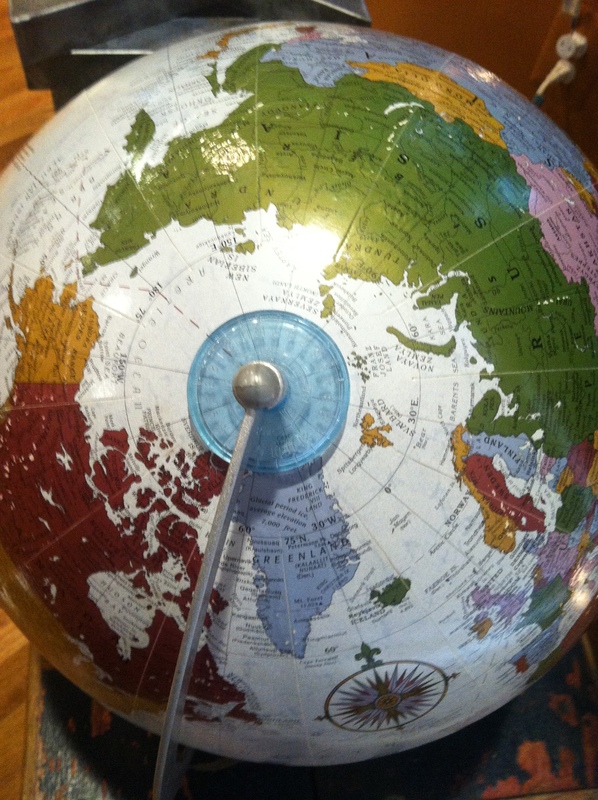 As luck would have it, I had a globe in the basement collecting dust, or what ever else lives down there. Like I said, I only have so much room to house stuff I like. This was acquired when someone was downsizing. The globe was in decent shape, but had too much silver/gray. I took off the metal base and plastic and painted them flat black. Once painted black, I had to fashion a connector. 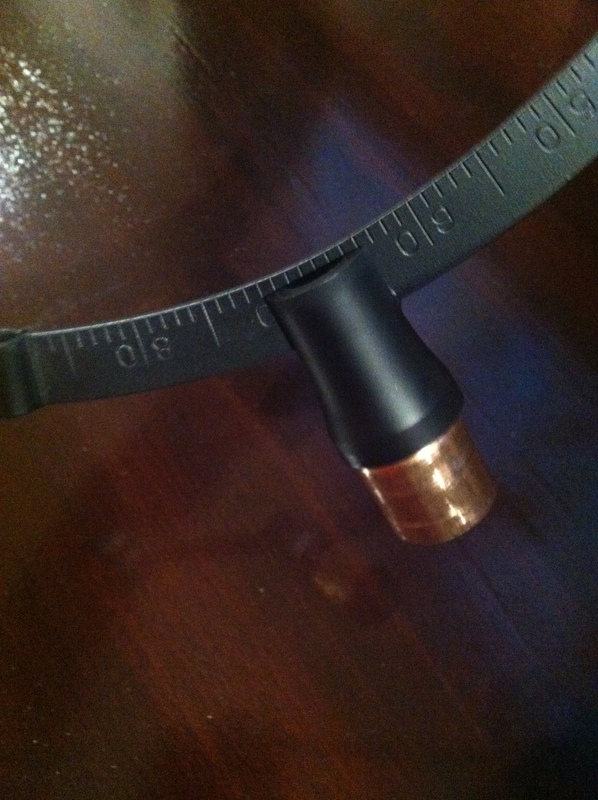 Lucky for me, I had some leftover copper from the steampunk entertainment center project. 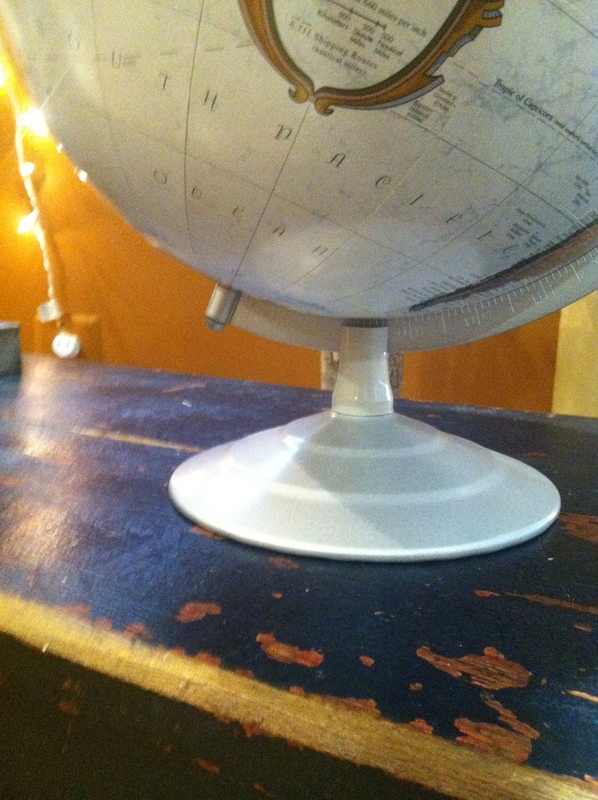 The globe and tripod work well together and are looking good, on display! 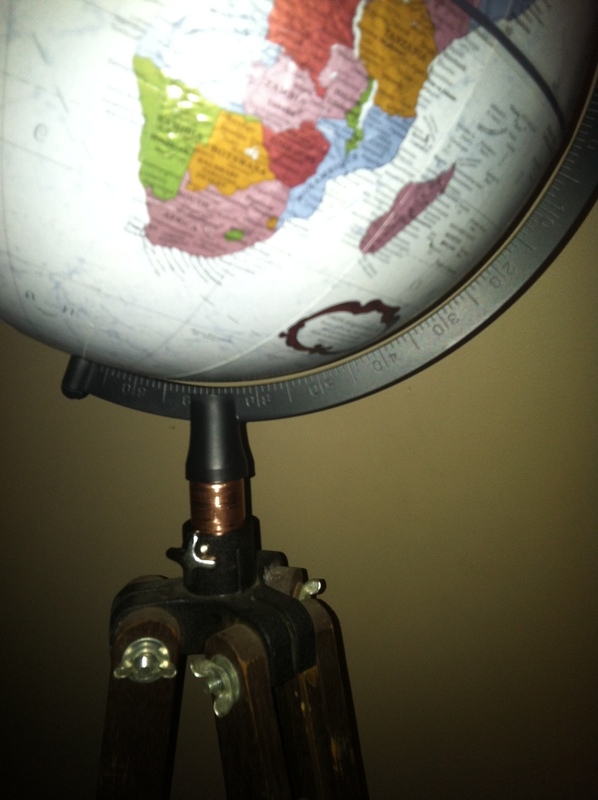 This entry was posted in Objects and tagged globe, steampunk, tripod. Bookmark the permalink.